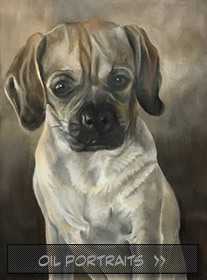 Commissioning Dog portrait paintings,cat portrait paintings or horse portraits are available in oils, pastels or charcoal. Portraits are usually portrayed in a realistic representational style but can be tailored to meet the requirements of the client. 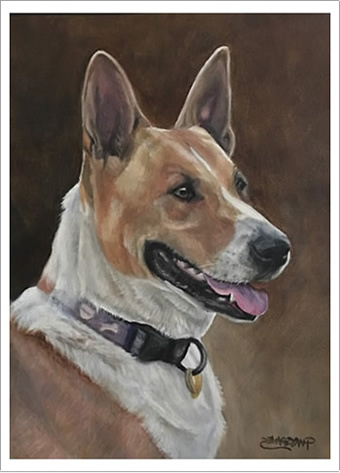 Whether your desired portrait is of a dog painting,cat painting,equine portrait,bird portrait or any other animal portrait painting, it will make a wonderful keepsake or a unique collectible art investment painting. Commissioned horse portraits in pastel or oil paints are available from photos taken by client or artist. Horse portraits otherwise known as equine art have a highly rewarding beauty of their own and are treasured by many whether the horse subject is a thoroughbred race horse,other breeds such as arabian horses,or a much loved pet horse you will be satisfied that you made a great collectible art investment when you buy a pet portrait online. 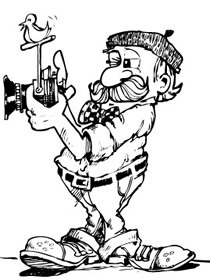 Cynthia Hargraves has been taking commissions online since 2003. 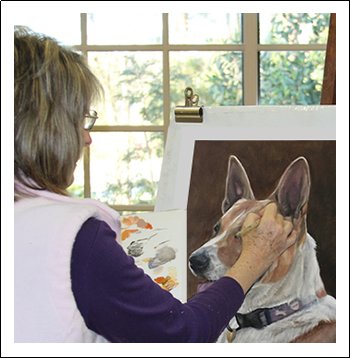 Her Portrait painting business in pets and people have been warmly accepted by clients within Australia and Overseas. A 15 years established business has provided her with an abundance of experience to make your portrait commission specially successfully created to your needs. Cynthia Hargraves is a successful award winning, published, Master Pastellist and full time Australian Portrait Artist. Cynthia's works are held in many private collections both nationally and internationally. Commissioned portraits extend from Brisbane, Gold Coast and Queensland to Sydney, Canberra, Melbourne, Tasmania, Adelaide and Perth, other rural areas of Australia as well as Worldwide. For more on Cynthia Hargraves Qualifications, Experience, Art exhibitions and Gallery information . This Dog Portrait was taken from a champion prize winning dog photo. It depicts the true nature of this dog. 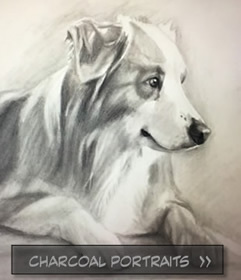 Portraits should depict the nature of the animal whether a horse thorough bred, racehorse, family pet, dogs, cats, birds, fish, snakes or any other animal regardless of their breed. They all have a character of their own. It is with great joy that the Portrait artist toils over their painting to bring this work of art to life. No painting is complete until full satisfaction from the client has been approved of. All work is guaranteed to be of the highest quality materials. 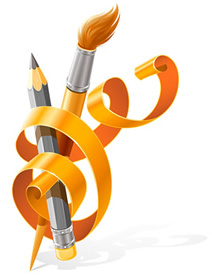 Viewing of the painting at stages is sent to the client once a commission has started and it is for the client to be fully satisfied before the commission is completed and full funds are paid by direct deposit. Paintings are sent then by registered mail. 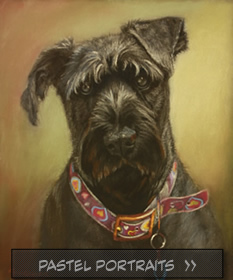 For more details on commissioning a pet portrait see below on at the above contact link. 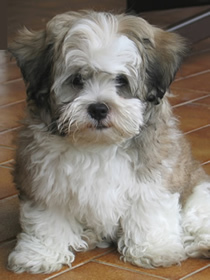 Personal pet animal portraits commissions hold great meaning and are very memorable and sentimental. Although many of my portraits commissions are held in private collections many more have recieved awards for their appeal. Selecting the right setting for the portrait in the best light and capturing the greatest expression that typifies the subject is often impossible to do in photos. © 2017 Portrait Artist Cynthia Hargraves. All Rights Reserved.